I write you today after much reflection on energy politics in Canada following the explosive tragedy in Lac Mégantic, Québec. I write to suggest a targeted foreign aid program with the potential to bolster both Canadian and developing economies; specifically, I suggest sizeable investments in Thorium desalination projects. These projects feature small-scale nuclear reactors that power the energy-intensive processes purifying sea water; some Thorium desalination projects are engineered as dual-purpose facilities, which produce energy for commercial and residential consumption as well as potable water. Thorium desalination projects are strategically valuable to Canada for several reasons, foremost, as a means to advance research toward large-sale, safe, and emission-free Thorium power generation. The generation technique uses molten salt rather than heavy water (composed of heavier isotopes of hydrogen), which means it is safer in the event of a power loss, and near impossible to weaponize. Directing foreign aid support to Thorium desalination projects adheres with economic reality that desalination will only become increasingly common as natural fresh water supplies are depleted. The decentralized small-scale desalination/generation model also holds value for the sustainable development of the environmentally sensitive Canadian North. Imagine if our foreign aid programs were able to contract Canadians to build a secure and responsible energy future, while dramatically increasing access to clean water in the world's poorest parts. Minsters, this ideal could become a reality within the next budget cycle. There is already a Canadian company, Thorium Power Canada Inc, blazing the trail managing two projects in Chile and Indonesia, the latter a generation-only project. 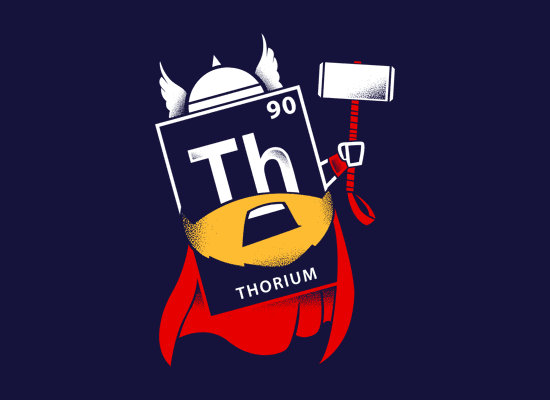 Thorium research is a big part of solving the global energy crisis, and Canada should be a leader in this effort. I implore you to research and champion Thorium investments as priorities for foreign aid spending in the next budget cycle.